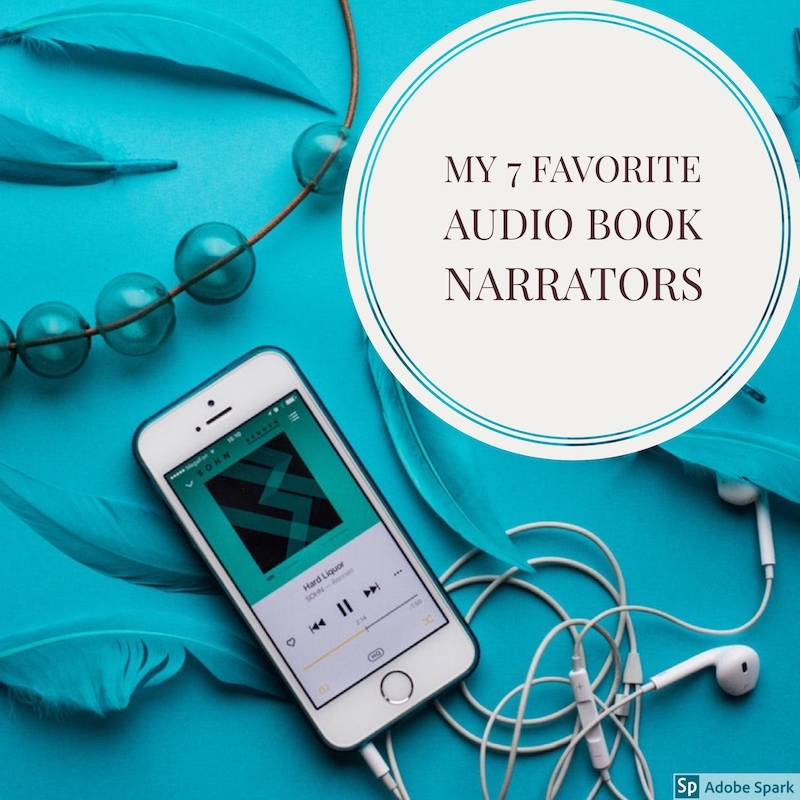 A couple weeks ago, I wrote about audio books with multiple narrators. This technique brings a book alive and eliminates many of the common irritants that occur when a narrator attempts to do multiple voices! 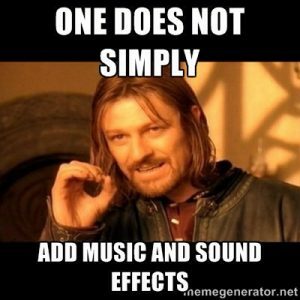 There are a lot of factors that go into making an audiobook enjoyable. High production value is nice, and I often enjoy audio books with music and/or multiple narrators. But I will say I certainly appreciate a skilled narrator who can take a book (or even a book series) from beginning to end on their own, without disrupting the flow of the story. I’ve been listening to audio books on an almost daily basis for several years. Here are the narrators I’ve come to seek out and enjoy the most. Best known for narrating the Outlander series, Porter’s portrayal of Claire and Jamie is flawless. She brings so much emotion, humor, and magic to the already lovely story. The books in this series are epic (aka long) and Gabaldon’s writing can be a bit dry and dense when it comes to historical details. Porter manages to keep those parts flowing smoothly. I have a bookish friend who once said “I’d listen to Scott Brick read the phone book.” I said I agree, and it would be the most terrifying phonebook in history. There’s something about Brick’s voice, combined with his intensity and skill that makes anything he reads incredibly compelling. He just so happens to narrate a lot of true crime, sci-fi-fi and other weird stuff. So the one time I tried to listen to a benign non-fiction he narrates (Salt, Sugar, Fat by Michael Moss) I couldn’t handle it. Brick’s voice simply didn’t match that content for me. I kept waiting for something creepy to happen! 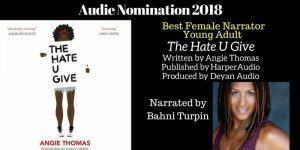 Her stunning performance (because that’s what it was – not simply narration) of The Hate You Give rocketed Turpin to the top of my list of narrators I seek out. She’s smooth and powerful, with skilled changed in voice and tone. She’s narrated a lot of historical fiction I’ve read and I wish I had experienced those through her voice. 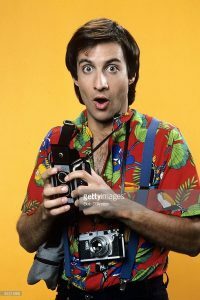 Yes, you read that correctly, Balki from Perfect Strangers is an audio book narrator. And he’s a super good one at that! I had listened to a couple books he narrated without even knowing it was him. Now I seek them out intentionally because he’s just plain excellent. 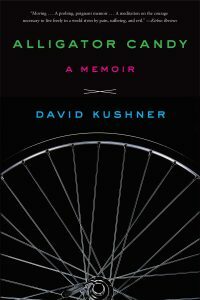 My most recent list of his was Alligator Candy by David Kushner, a true crime memoir about the abduction and murder of the author’s brother in childhood. I kept forgetting this wasn’t narrated by the author because Pinchot’s inflection and emotion are absolutely spot on. Once at a reading I attended, Sedaris told the audience he doesn’t publish anything he hasn’t practiced reading aloud on his books tours, because it all needs to work audibly as well as on the page. 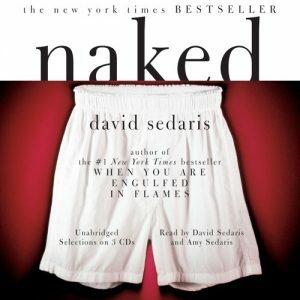 While I read anything written by Sedaris I can get my hands on, I never consider to be fully familiar with a book until I’ve listened to the audio book. While mostly known for reading his work works with gusto and great wit, Sedaris has also narrated other authors’ works, most notably George Saunder’s Lincoln in the Bardo. 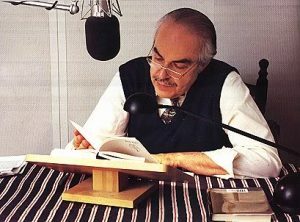 Having narrated more than 1,300 unabridged productions, Guidall has become the gold standard in narration. He’s a multi-time Audie Award winner (audio books’ equivalent of the Oscars.) His voice is easy to listen to, and he adds emotion and intensity to any story. Gaiman is one of those writer who, in my eyes, turns everything he touches to gold. I recently wrote about hearing him on Liz Gilbert’s podcast, and while I liked him before that, his interview really endeared him to me. I love that’s he’s so incredibly successful yet he talks openly about the struggles involved in being a writer. 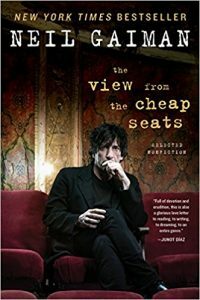 While his niche genre isn’t necessarily my favorite, I love his non-fiction and appreciate him a lot as a writer, and a human being in general. I’ve listened to a few of his books that he narrates and he truly brings them alive.Plus his voice is pretty dreamy! One of our favorites is Jim Dale, who does the Harry Potter series.